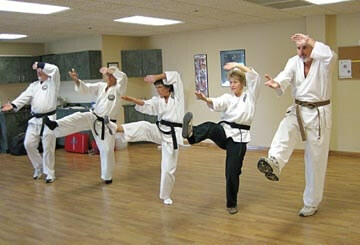 Dedicated to enhancing the physical and mental well-being of seniors through martial-arts. Karate strengthens the body, improves balance and mental acuteness, promotes confidence and a positive attitude, and teaches personal selfdefense. Training starts with the student’s present condition and knowledge, then helps each to improve.